Pre-approval and approval are terms we hear thrown around a lot in real estate, and yet all too seldom do homebuyers know what's necessary to secure one in the first place. The fact is, a pre-approval should be one of the first steps in the property search process. As the real estate market in B.C. continues to sweep along at its dizzying pace, many have been left scrambling to make subject-free offers without a pre- approval in place. This, of course, complicates things even when the live file is submitted. 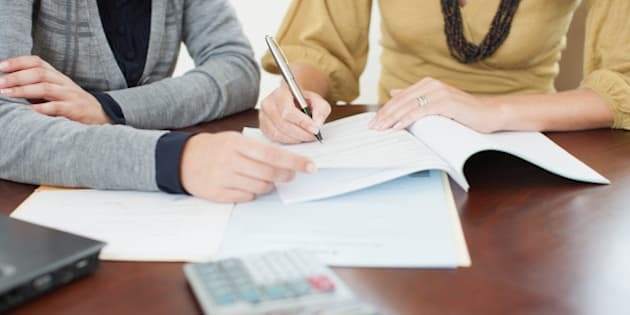 During the pre-approval stage it's important to be upfront and provide accurate information so that your broker and the lender are aware of any possible challenges ahead. Once you have your pre-approval, the more constant everything stays, the better your chance of getting the approval when the time comes. Complications of pre-sales, co-signer's, or an unexpected life change are some of the few things that can cause your pre-approval to be declined at the last minute. Co-signers or guarantors can be a tricky business. Quite often, particularly among younger people who haven't had time to build up a long credit history or stable income, a co-signer may be required by the lender to strengthen the application. It's important to remember that not all co-signer's are created equally and, there is just as strong a chance that a co-signer/guarantor will be turned down as there is that you will be by the lender. Assuming someone has agreed to be your co-signer, this alone is not enough. They will needs a strong credit score, as co-signing or guaranteeing a loan will increase their debt load and it's their responsibility to pay off the debt if you default. Added to that, if they are asset heavy but have no consistent salary or income base, this will not be looked upon favourably by the lender and you may be turned down for the loan. When looking for a co-signer, think like a lender. Do they have stable income? Are they in debt? What is their debt-to-income ratio? Have they co-signed for anyone else in the past and, if so, did they take on any additional debt as a result? The more you know about your co-signer, and the more prepared you are with paper evidence of their financial status, the better chance you stand for the approval. Most importantly, if you plan on having a co-signer or a guarantor, their situation must also remain constant as they are really treated as another applicant on the same loan. A pre-sale is when a buyer purchases a property that has yet to be finished, and the majority take place before construction has even commenced. Particularly in a highly competitive market like Vancouver, one of the most attractive features of a pre-sale home is that despite the down payment, you have extra time to cobble together the amount of money you will need to close. For those whose current credit is preventing them from obtaining a mortgage, this extra time can be a welcome and important opportunity. In addition, buyers can often reap the benefits of climbing market value before they even put a dime into a mortgage, strata fees or property tax. In the case of obtaining a pre-approval, that same time frame that is so attractive for building income can be the very thing that hinders you most. With a pre-sale, usually you are required to put down 15-20 per cent in stages, although here in B.C. some developers are now accepting five per cent from first-time homebuyers who are approved or pre-qualified for a mortgage. However, it's important to remember that with a pre-sale your broker cannot usually hold the rate for too long; much less until project completion. With the typical pre-approval letter at a maximum of 120 days, and some lenders doing a pre-approval for pre-sales up to a year in advance, what your broker may be able to provide you with would not hold until the project is complete. Sometimes, the lender financing the project can offer a pre-approval until the completion of the project. However, they will be using higher rates to qualify so if you are tight with your current income and debt level, you would most likely not qualify with the higher or posted rates. If contemplating a pre-sale, make sure to be realistic about the completion date. Mortgage rules change often and there is no guarantee that the rules or your situation is unchanged at your completion. We have all, at some point, found ourselves in a situation we didn't anticipate. Whether it's loss of a job, a decrease in salary, health problems, or any other number of new adjustments such as getting a car loan. But changing jobs, adding debt, and moving around your down payment money can not only affect your pre-approval -- it can void it, as it may push your ratios overboard. Think of a pre-approval as the lender approving your file based on your current condition and any changes will jeopardize that approval. Any variance in your income or debt level is an immediate alarm to the lender, and will affect your pre- approval. Pre-approvals can be extended with an updated credit bureau and information. If you are actively looking for a home, it's best to do everything in your power to remain as financially and professionally stable as possible. In other words, if it's your dream to open your own business, you may want to reschedule that for a couple years down the line. Being realistic and planning ahead are two of the best incentives to guarantee that you are eligible for the mortgage when the time comes.